Diet Guide – HTML5 Ad Banners designed with Google Web Designer. And provided 7 popular used sizes in the market. 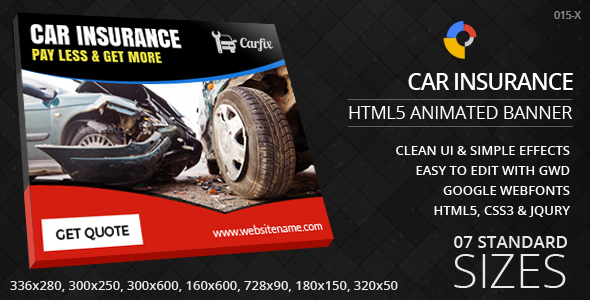 Car Insurance – HTML5 Ad Banners designed with Google Web Designer. And provided 7 popular used sizes in the market. Natural Fitness – HTML5 Ad Banners designed with Google Web Designer. And provided 7 popular used sizes in the market. Wedding Collections – HTML5 Ad Banners designed with Google Web Designer. And provided 7 popular used sizes in the market.